Multi-talented Australian based artist, object and jewellery designer, Louise Olsen, may be better known for her work as the creative director of Dinosaur Designs, but her latest collaboration with lifestyle brand Alex and Trahanas has us dreaming of an Italian summer. 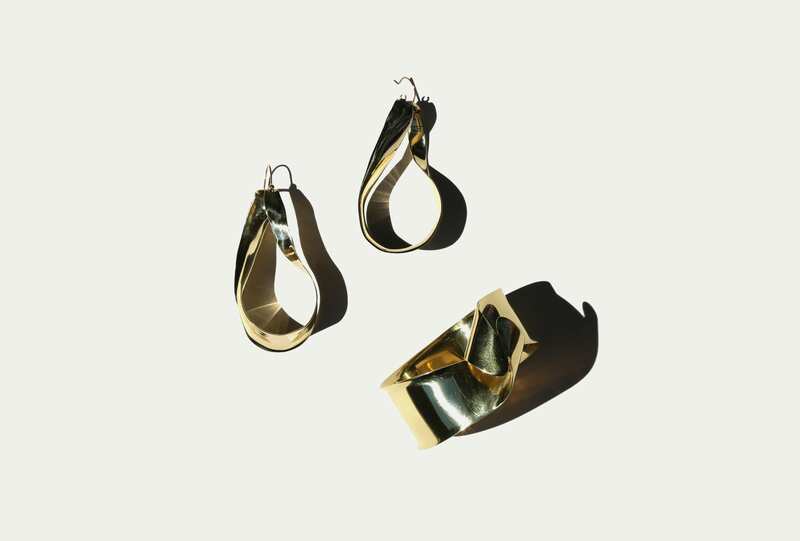 Inspired by the organic, weathered forms of Apulian olive trees, this line of gold-tone and silver jewellery sees precious metals twisted and contorted into abstract, elegant loops to form a sculptural collection of bangles and earrings. Packing now for our Mediterranean get-away. ALEX AND TRAHANAS earrings and bracelet.